Have you recently purchased a home or transferred the title to your home, such as to a revocable trust? Have you received an official-looking letter stating you should remit $87.00 to receive a copy of your deed? The letter includes a ‘due date,’ your property’s parcel number, and other information about your home/land? And the letter is from Records Recovery Services? Don’t do it! It’s a scam! This is not a ruin-your-life scam, but it will relieve you of $87.00 for no real purpose. Once recorded, land records can be obtained from the Recorder of Deeds by anyone, including companies like Records Recovery Services, which harvests the public information, generates these letters, and attempts to get property owners to send them needless fees. Usually, copy charges from the Recorder’s Office are $2.00 for the first page and $1.00 for each additional page (a total of $5.00 or so v. $87.00). By the way, the address for “Records Recovery Services” is a UPS store in Jefferson City, and they are not registered to do business in Missouri. Another one for the recycle bin! Thank you we received that bogus letter a few weeks after buying our home. Hello! I wasn’t aware that this place was a scam but we had already mailed a check, do you know the proper steps we can take to get our money back and report this place? Maybe you could stop payment on your check? Thank you! I received that letter two months after buying my home and decided to do some research and found your page. Thanks! I thought this sounded weird. I just received my third letter. Thank you for confirming the sham. We traced this company back to another company in Florida by the name of Maxton Holdings, LLC and then traced that company back to another company in Sri Lanka. We suspect that this is a fraudulent attempt to collect personally identifiable information for nefarious purposes including taking out a second mortgage in your name. Wow. I am glad I found your posting. I just recieved the same letter and thought it was weird that there was no way to get this other than by mailing a check. I decided to search them online and found your information. Thanks for putting this out there and helping so many people avoid a scam. I received my letter today funny thing is it is not for my address. Should we be reporting this to someone? They’re not necessarily doing anything illegal….they’re just selling unnecessary services. That is odd that it’s not for your address, though! Rec’d solicitation today and remember from our closing, my lawyer prudently warned us of such a scam!! Like all R.E. attorneys should. Glad your website is up to. hopefully, warn others and maybe rid the earth of this scum. I was about to write a check, then thought on doing some research, found your post. I do appreciate your warning. The question is…how do we go about stopping their fraudulent action? We received the letter as well after transferring our home to our revocable trust. 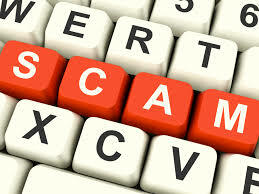 I called our trust attorney and she looked into the matter and found out it was a scam! Otherwise we would’ve paid it like everyone else. But who could we reach in order to bring this company to justice and put a stop to it? I’d be happy to do it, just don’t know where to start! I figured this was a scam… it seemed fishy. We just closed on our property two months ago..
thanks for the heads up! I saved myself $87!!!! Thanks for posting this. They’re now operating with a return address out of Albany, N.Y. too. Thought this was a scam but decided to look online anyway. Shameful to try and take advantage of people. I got the same letter I looked it up I called the phone no one in at 9am just seemed wrong ? when I looked up the address info said it was a scam! I too have been ripped off by this scam! Nor did I never received any documents from them after sending my $87. If anybody ever hears of a way to get retribution on those involved, please post here so action can be taken!